A big part of any car show is checking out the fastest, blingiest or coolest vehicles on offer. So, in the first part of our 2019 Geneva Motor Show, we naturally wanted to tell you about the concepts, hypercars and super-fast coupes that VW had on offer. But thankfully, Wolfsburg also sent some vehicles for the rest of us: ones that are available soon and that don’t require a diamond heist to finance. Let’s take a look. Yes, we know it’s not VW’s most exciting offerings, but can you argue with 12 million sales? Because that’s how many the Volkswagen Transporter platform has notched up in its various guises – including the Caravelle variant – since it was launched more than 60 years ago. 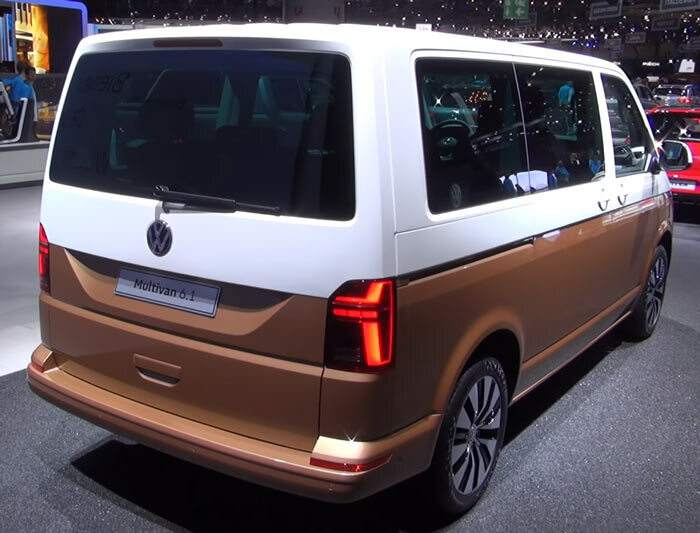 And it’s the Transporter platform that VW has updated, which means that other variants will be seeing the changes unveiled in the new Caravelle. So, what have we got? Updated engines for the 2 litre TDIs. It’s pretty amazing to think how sophisticated, and even stylish, the humble van is becoming. The Caravelle will be hitting continental Europe in the Autumn and the UK shortly after that. The Volkswagen Passat seems to have been with us since the dawn of time. Like the Transporter platform, it’s been a massive success story for VW, with around 30 million sold worldwide. Perhaps that’s why the latest iteration of the Passat looks…pretty much like the previous version. Why mess with a winning formula? Certainly, the changes to the exterior styling are modest: the front grille looks a bit more aggressive and there’s improved LED lights. Inside, the instruments have gone digital and the clock’s gone. Not much cause for a parade there. However, that’s only half the story. Beneath that pleasingly upmarket surface, more substantial changes are lurking. Chief amongst these is Travel Assist, Volkswagen’s push towards autonomous driving. The new system steers the car at up to 130mph and reacts to traffic, approaching junctions, corners and speed limits. Now, you won’t be reading War and Peace whilst driving to the office just yet, but it’s another step in that direction. Connectivity has improved in the new model too, with data connection through the infotainment system, internet radio and wireless connection to Apple CarPlay. Mechanical changes include new, improved diesel engines. The 237 bhp TDI variant is a corker, bringing up 0-100kph in just 6.1 seconds. Once upon a time, the only car that could get you from 0-60 in under five seconds was a temperamental supercar with a boot the size of a paperback. These days, there are plenty of SUVs that will crack five seconds and take your old fridge to the recycling centre. However, that combination of performance and practicality has always come at a price. 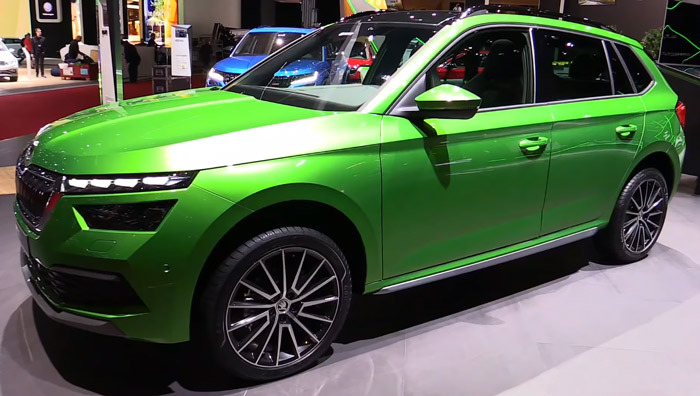 Enter the T-Roc R, the performance version of VW’s popular T-Roc. Revealed at Geneva, this sharp-looking crossover promises blistering performance from a reasonable £35,000. The T-Roc R should hit 0-100kph in 4.9 seconds and go on to an electronically limited 155mph. 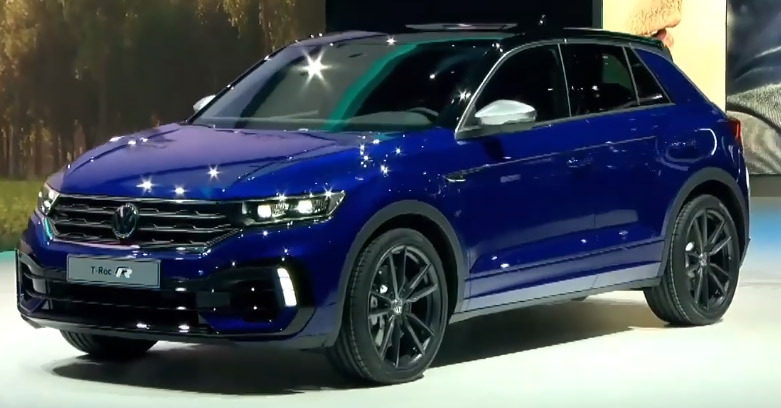 That’s down to the genius of the endlessly adaptable MQB platform: the T-Roc R shares many fundamentals with the rip-roaring VW Golf R. For example, power comes from the same 296 bhp, 2 litre turbocharged engine, delivered through all-wheel drive and the inevitable seven-speed DSG transmission. The T-Roc R should be with us in the Autumn. It looks like it’s going to be a monster! Launched in Geneva, the Kamiq is Skoda’s new baby SUV. It features the same sharp styling as its bigger siblings, the Karoq and the Kodiaq, but at 4.24 metres, it’s just a tad longer than a Nissan Juke. That’s probably no coincidence, as Skoda looks to compete in the thriving market for compact SUVs. We think it will be a strong contender. For a start, interior space is amongst the biggest in its category, with just shy of 1400 litres of storage when the seats are folded. To our eyes, the cabin looks a step up from many of its rivals, too. There’s plenty of tech and safety features, including a 10.25 inch virtual cockpit, 9.2 inch touch screen infotainment system, autonomous emergency braking and lane assist. Put all that together with Skoda’s competitive pricing and bulletproof reliability and the other marques in this sector have a fight on their hands. The Kamiq is expected to be on sale from just over £17,000, but we won’t know for certain until May. That finishes our round-up for Geneva 2019. Did you see anything you fancy? 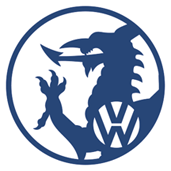 Welsh VW Specialists is an independent garage delivering a main dealer level of care at affordable prices. As the name suggests, we specialise in all the VW group marques, including Audi, Volkswagen, Skoda and SEAT – offering services, repairs and MOTs, To book your vehicle in, or for any enquiries, get in touch.